The College of Sciences and Humanities was established through the Presidential Decree No. 58 issued on November 20, 1972 and was approved/adopted by the Board of Regents at its 828th meeting on December 21, 1972. This started the machinery for translating into reality plans conceived in 1970. On March 1, 1973 the Board appointed Dr. Edelwina C. Legaspi as the first dean of the new college, and a month later the secretary, Dr. Dolores A. Ramirez. The college officially started with seven (7) departments namely: 1) Humanities, 2) Chemistry 3) Mathematics, Statistics and Physics (the same ones previously under the College of Agriculture), 4) Botany (likewise dropped the “agricultural tag” which it bore under CA), 5) Zoology, 6) Life Sciences and 7) Social Sciences. 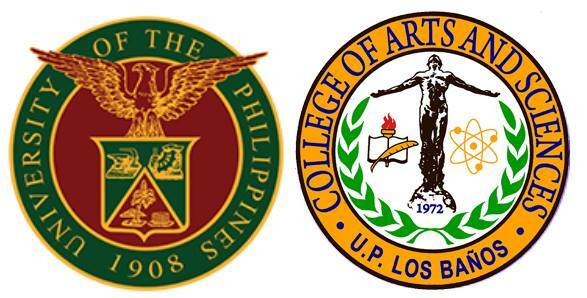 The college was renamed College of Arts and Sciences on October 28, 1977. On March 23, 1983, pursuant to the Executive Order No. 889 in response to a call for greater contribution towards national development to enhance the attainment of its corollary goals, the CAS reorganized its science and mathematics departments into three (3) institutes: 1) Institute of Mathematical Sciences and Physics (IMSP) from the former Department of Mathematics and Physics, Department of Statistics and Statistical Laboratory and the Computer Science unit; 2) Institute of Chemistry (IC) from the former Department of Chemistry and; 3) Institute of Biological Sciences (IBS) from the former Botany, Life Sciences and Zoology departments. Together with three (3) similar institutes in UP Diliman, they were designed to form part of a system of national centers of excellence in basic sciences. The Program on Environmental Science and Management (PESAM) was elevated into an institute and was integrated under CAS on February 23, 1987. However, in 1998 because of its multidisciplinary nature participated by most units of UPLB, it was elevated into a school independent of CAS. The Division of Computer Science of IMSP, because of the fast development in the field and rapid growth of student population became an institute in January 1996. The Physical Education Department formerly under the Director for Instruction was placed under the CAS and started Diploma in Physical Education to become a regular granting unit of the university in December 1996. It was renamed Department of Human Kinetics. The Division of Statistics of IMSP was transformed into an institute in January 1998. This move was aimed to accelerate the effort supportive of quality instruction and high level research and development. At present, the College composed of nine units with about 400 faculty members and 3500 students, has the biggest faculty and student population in UPLB. There are five institutes in CAS and these are the Institute of Biological Sciences (IBS), Institute of Chemistry (IC), Institute of Computer Science (ICS), Institute of Mathematical Sciences and Physics (IMSP), and Institute of Statistics (INSTAT). On the other hand, the three departments under CAS include the Department of Human Kinetics (DHK), Department of Humanities (DHUM), and the Department of Social Sciences (DSS). The ninth unit of CAS is the UP Rural High School, which is being used as a high school laboratory for college students taking up Bachelor of Science in Mathematics and Science Teaching, a degree program co-offered by IBS, IC, and IMSP. The College also co-offered with the College of Agriculture the Bachelor of Science in Agricultural Chemistry. A total of twelve undergraduate academic degree programs are being offered by the College. In addition, the College also offers graduate programs at the master and doctorate level. About 60% of the CAS faculty members are MS and PhD degree holders. It holds the distinction of having three National Center of Excellence in basic sciences (Biology, Chemistry, and Mathematics), Commission on Higher Education (CHED)’s Center of Excellence in Information and Technology; the CHED’s Center of Development in Statistics. Annually, CAS is the College in UPLB with the highest number of graduates and honor graduates. From 1972 to 2011, CAS was led by eight deans, namely: Dr. Edelwina C. Legaspi, Dr. Percy E. Sajise, Dr. Carlito R. Barril, Dr. Pacifico C. Payawal, Dr. Corazon B. Lamug, Dr. Asuncion K. Raymundo, Dr. Zita VJ. Albacea, and the present dean is Dr. Felino P. Lansigan.